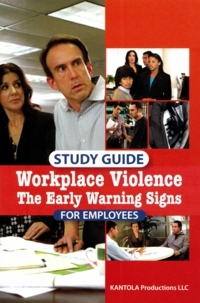 Workplace violence is an issue that can affect any organization, of any size, in any industry. This Spanish version of our popular training video takes on this important topic without sensationalizing, but by approaching the subject directly and honestly. Stephen White is a leading expert on workplace violence. Over the past twenty years, Dr. White has consulted on thousands of threat cases for Fortune 500 companies and other organizations of all sizes, both public and private. In this workplace violence training video, Dr. White draws from his experiences to dispel some of the common myths about workplace violence, while providing a better understanding of what you should be aware of to help keep your workplace safe.